A recent systematic review of 5 randomized clinical trials, most with fewer than 300 participants completing the individual studies, found that early egg introduction was associated with reduced egg allergy.1 Infant feeding guidelines are changing to recommend that traditionally allergenic foods, such as eggs, be included in infant diets from 4 to 6 months of age, without exact knowledge of generalizability to different population subgroups. At about the same time the systematic review1 was published, we reported the multicenter Starting Time of Egg Protein (STEP) double-blinded randomized clinical trial (n = 820 infants)2 that found a 25% risk reduction in egg allergy with early regular egg intake from 4 to 6.5 months compared with egg avoidance to 10 months of age, although this did not achieve statistical significance. We had broad eligibility criteria in STEP and investigated in exploratory analyses whether the effect of treatment was modified by maternal, family, or infant characteristics. 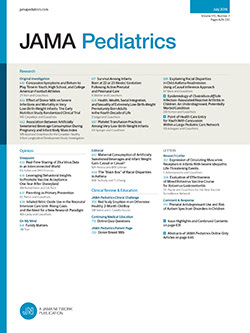 In STEP, infants were randomized to receive daily egg powder (egg group, n = 407) or a color- and texture-matched rice powder (control group, n = 413) to 10 months of age.2 Our exploratory analyses examined whether baseline characteristics2 subgrouped as dichotomous variables (with continuous characteristics classified around their average value) modified the effect of timing of regular egg introduction on the primary outcome of IgE-mediated egg allergy at 12 months of age. Log binomial regression models, including an interaction term for treatment group and subgroup status, were used to evaluate effect modification. Because STEP was designed to detect main effects, only large interaction effects could be identified in these exploratory analyses. For this reason, we focus primarily on raw interaction P values for evidence of effect modification, although for completeness we also present multiple comparison adjusted interaction P values. All analyses were performed using SAS version 9.3 (SAS Institute). Approval for this study was granted by the local institutional review boards/human research ethics committees of Women’s and Children’s Health Network, Adelaide; Flinders Medical Centre, Adelaide; and Princess Margaret Hospital, Perth. Written informed consent was obtained from parents prior to trial participation. Of 820 infants randomized, 748 (91%) completed an egg allergy assessment at 12 months. Socioeconomic status (SES)3 modified the effect of early regular egg introduction, with treatment reducing egg allergy rates in higher SES families (egg group: 6.7% vs control group: 14.6%; adjusted relative risk, 0.47; 95% CI, 0.27-0.84; interaction P = .02; Table) but not in lower SES families. This result did not appear to be driven by differential compliance; 77.4% of low SES families were classified as per-protocol vs 79.9% of high SES families (P = .38), and effect modification by SES was still apparent in per-protocol participants (adjusted interaction P = .01). Total household egg intake also modified the effect of early regular egg inclusion, with treatment decreasing the risk for egg allergy in families who ate fewer than 12 eggs per week at randomization (egg group: 3.9% vs control group: 10.8%; adjusted relative risk, 0.36; 95 CI, 0.16-0.82; interaction P = .04; Table) but not in families who ate 12 or more eggs per week. No interaction effects were found for any other baseline characteristics examined (Table). Future research should continue to define subgroups who benefit from regular inclusion of allergenic foods in infant diets. This will enable targeted infant feeding practice guidelines and community education strategies. Corresponding Author: Maria Makrides, PhD, Child Nutrition Research Centre, South Australian Health and Medical Research Institute, 72 King William Rd, North Adelaide, SA 5006, Australia (maria.makrides@sahmri.com). Author Contributions: Drs Makrides and Palmer had full access to all the data in the study and take responsibility for the integrity of the data and the accuracy of the data analysis. Concept and design: Palmer, Sullivan, Prescott, Makrides. Drafting of the manuscript: Palmer, Sullivan, Makrides. Statistical analysis: Palmer, Sullivan, Makrides. Administrative, technical, or material support: Palmer, Prescott, Makrides. Supervision: Palmer, Sullivan, Prescott, Makrides. Australian Bureau of Statistics. Socio-Economic Indexes for Areas. http://www.abs.gov.au/websitedbs/censushome.nsf/home/seifa. Accessed September 20, 2016.